The best word to describe this one is painful. It tells the story of a teenager named Andrew Winston Winters, and it’s the kind of narrative that makes you wonder whether or not the seemingly inexplicable events you’re reading about are supernatural in origin. The more you know about the story going in (and I knew a fair bit), the easier it will be to arrive at an answer, but this doesn’t rob it of its extraordinary power. 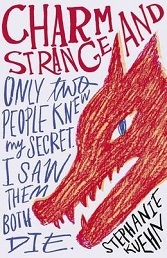 Charm & Strange is (spoilers) one of the most chilling depictions of the psychological consequences of abuse I’ve read, and is certainly a book that will stay with me. 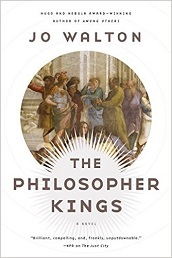 I don’t know why I didn’t write about The Philosopher Kings when I loved it just as much as The Just City. Like its predecessor, it’s concerned with people wondering how to live and how to love (in the broadest sense of the term), and it resists cynicism even when the answers they try out cause unforeseen problems. Trying to do better, these books tell us, is a worthwhile endeavour even if we don’t always get it right. Also, the story Walton has been telling takes a very interesting turn at the end that has me eager to read the final instalment, Necessity. Vanity, the supposedly “feminine” personality flaw usually assigned to antagonists and villains, is turned on its head. Yes, Marigold is vain, but she is caring and attentive, she keeps her promises, and though she reminds us all that every creature is basically beneath her magical majesty, she certainly doesn’t treat anyone that way. She is riddled with self-love and is utterly unapologetic. Yes to all of this. 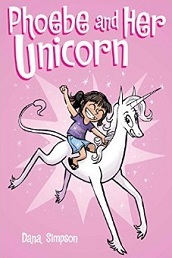 These comics are gently subversive, very funny, heartwarming, and an utter joy to read. The moment when I really got into this book was when they introduced the cat. Predictable, right? But seriously, the cat and her fate are symptomatic of Boy in the Tower’s emotional core. 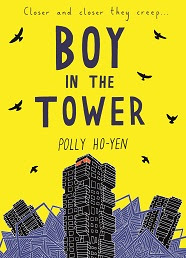 This post-apocalyptic children’s novel is nothing like Station Eleven, and yet I liked them for similar reasons: the version of surviving the apocalypse they put forward is one based on collaboration, community, and often overlooked skills, rather than on exceptionalism or individualistic heroics. I was also interested in the protagonist Ade’s mother, whose recovery from trauma is described with sensitivity and care. 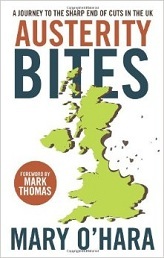 Journalist Mary O’Hara travelled around the UK interviewing people who have been directly hit by the austerity measures introduced since the 2010 general election, and the result is this book. Austerity Bites is as horrifying and angering as you’d expect, while also offering a much needed counter-narrative. It puts a human face to issues that are all too often discussed in the abstract, which makes them harder to shrug away. The chapter about how government cuts have particularly hit people with disabilities — and how disabled activists have been at the forefront of resistance from the start — is especially eye-opening. 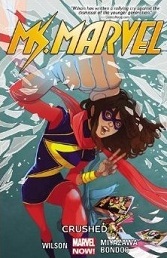 Unsurprisingly, Kamala Khan continues to be awesome. In Crushed, we watch her develop feelings for a family friend she hadn’t seen since they were both much younger, wonder what she wants, deal with disappointment and heartbreak, and spot coercive behaviour that disrespects her humanity a mile off (which isn’t always easy when you’re a young woman surrounded by narratives that legitimatise it). I love Kamala’s intelligence, kindness, and increasingly solid sense of who she is, and I love this series’ heart, humanity, and excellent character development more with each new volume. What usually happens when I read short story collections is that I end up really enjoying a few and not remembering the rest in a lot of detail (probably more of a sign that I shouldn’t read them back to back than anything else). The thing about a Kelly Link collection, though, is that even the stories that aren’t my favourites will worm their way into my brain. 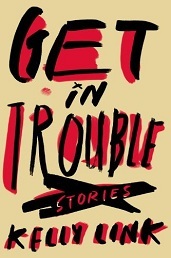 “The Summer People” was the highlight of Get in Trouble, but all these stories — with their wide array of genres, impressively realised worldbuilding, hints of Shirley Jackson and Grimm, and amazing prose — are worth reading. Aarti summed it up perfectly when she said that in this science fiction novella, “there is no villain. There are just people with different perspectives who misunderstand each other and want different things”. 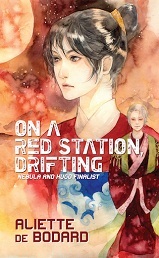 In a world inspired by Vietnamese culture, two women with very different roles and forms of power — Mistress Quyen, who handles the day to day running of the space station where the story is set, and Lê Thi Linh, a magistrate fleeing war who arrives as a refugee — slowly gain a better understanding of each other. This is a thoughtful, nuanced story that makes room for conflicting experiences without requiring one to trump the other. Aww, Rat Queens! While it’s possible that since I last wrote about it the “favourite new comic” spot in my heart was stolen away by Lumberjanes, that doesn’t mean I don’t also adore this series. Volume two is just as filled with humour, adventure and fun as volume one, and the character development continues to be great. We learn more about Hannah, Betty, Violet and Dee’s pasts and we continue to see just how much they enjoy being a team and fighting side by side. These ladies truly care about each other, and that’s a big part of what gives Rat Queens its heart. 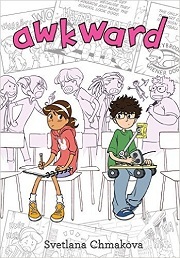 A sensitive, perceptive, charming comic about life in middle school, friendship, and collaboration. Penelope Torres has just started at a new school, and due to her fear of being singled out by the local mean kids she turns on the one person being nice to her on her first day — shy science geek Jamie. Penelope regrets it straight away, but she feels it would be too awkward to apologise. 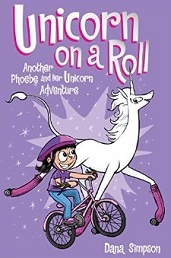 As her own art club gets involved in a feud with the science club (of which Jamie is a member), the two slowly find their way past Penelope’s mistake and to a genuine friendship. And we finish with another great instalment in a series I adore. Much like Giants Beware!, this is a humorous fantasy adventure that defies stereotypes with charm and wit. 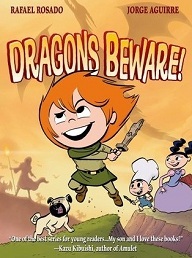 Tomboy Claudette continues to be a budding warrior ready to run at threats with a sword to save her loved ones; her traditionally feminine best friend Marie remains smart and capable and diplomatic; and her little brother Gaston struggles with an identity crisis but embraces his talents as a chef and magic user in the end. Together the children save the village of Mont Petit Pierre, and make unexpected friends along the way. I'm glad you wrote this because some of these look really good, I'd never heard of them before, and now they're on my list! yay, that's really nice to hear :) I hope you enjoy whichever ones you pick up! Ooooo I have to get Phoebe for my daughter! 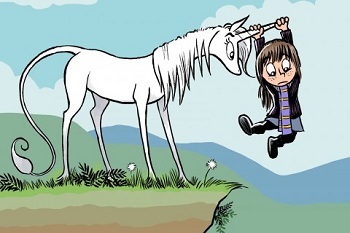 She'd LOVE IT because unicorn. 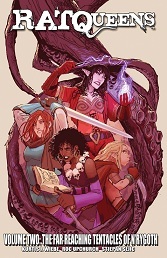 Yay Rat Queens! They share my heart with Lumberjanes, for sure. As usual, adding all sorts of things to my TBR here. Charm and Strange and Boy in the Tower sound particularly up my alley. Oh huh. I had written off Stephanie Kuehn for reasons I cannot now remember but I think it had something to do either with schizophrenia or social workers. Or both. But okay, I will try again with her. I'm pretty sure Charm and Strange wasn't the one I tried. The Jo Walton book gave me such a turn at the beginning! I agree about the Kelly Link stories. I thought about them for weeks after reading it and now, months later, I still have random thoughts about bits of them. I also should probably space out my short story reading though because I forget them individually.